Whether its running, cycling, skydiving or an extreme challenge, you could make it count for Guide Dogs by choosing your own challenge. Need inspiration? Scroll down to see some of the events and challenges our supporters have undertaken for us. If you already have your own place in an existing event, or are interested in taking part in an event not listed on our pages, you can still join #TeamGuideDogs! 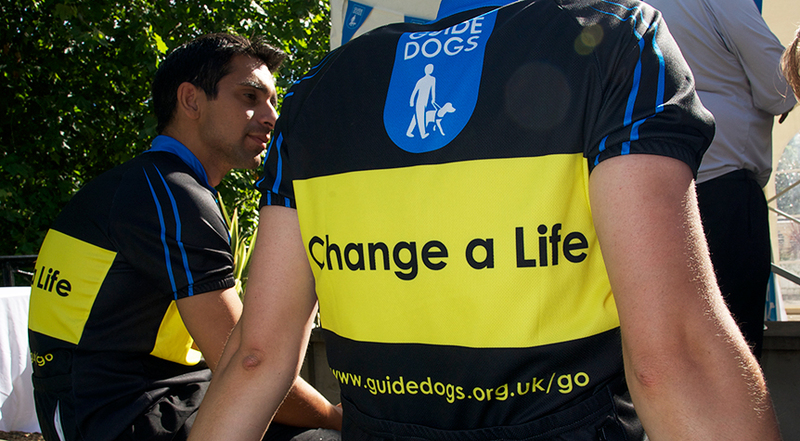 Let us know which event you're doing so we can send you your welcome pack and Guide Dogs technical top. Please note that to register you must have arranged your own place in an existing challenge, or organised your own event. Guide Dogs do not encourage fundraisers to participate in high risk or life threatening Challenge Events. All sports or challenge events undertaken to raise funds for Guide Dogs should be professionally organised, be fully risk assessed, and use highly trained professional instructors where required.